What is it about hell that makes us stop and stay there? We get stuck in bemoaning how awful it is, or how much we’re stuck, or how unfair life is. Wouldn’t it be easier, and most likely quicker, if we just kept going to get out? I’ve witnessed many clients and colleagues in workplace hell – living through unfair bosses, unreasonable clients, demeaning colleagues, diminishing budgets, unrealistic expectations, and unimaginable workloads. And the clients and colleagues that seem to best survive, and at times even thrive, are the ones who can simply keep going. They find a way to pull through the hell that surrounds them – garnering support from others, finding resources to lessen their actual (or emotional) load, knowing that it can’t go on forever – and keep going. Perhaps they remember the pithy saying that best inspires them, such as “it’s always darkest before the dawn.” Maybe they find a physical and mental release of the stress and tension through exercise or meditation. Maybe they just hunker down and get through, promising (and guaranteeing) themselves time of rest and replenishment when the worst is over. But they keep going. It’s too easy to stay stuck in how stuck we are. To righteously complain about how tough our situation is and how insensitive others are to our plight. But the best way to get through is to get through. To get unstuck. 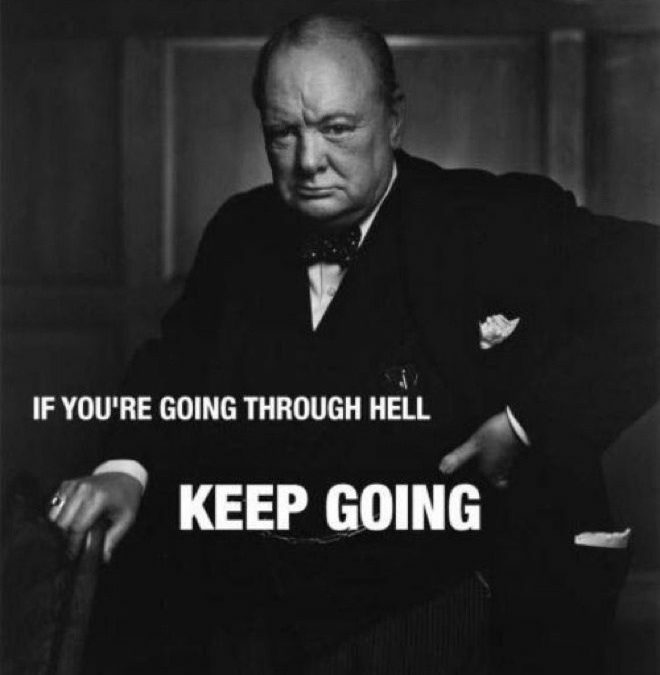 To keep going. Where do you need to keep going? What do you need to do to take care of yourself along the way? To find support to keep going, contact Lisa at lkohn@chatsworthconsulting.com.